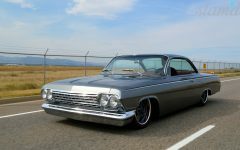 In the custom automotive world, there are unique rides and then there are vehicles that make up a level and category all their own. 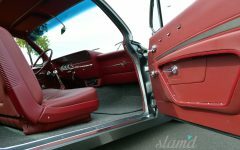 Here at Slam’d Magazine, we like to think all of our feature rides are in a class outside of the “norm” and this killer Bubbletop is certainly no exception to that. 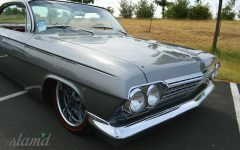 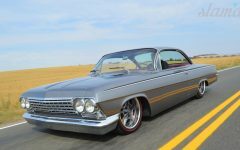 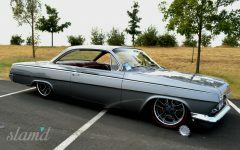 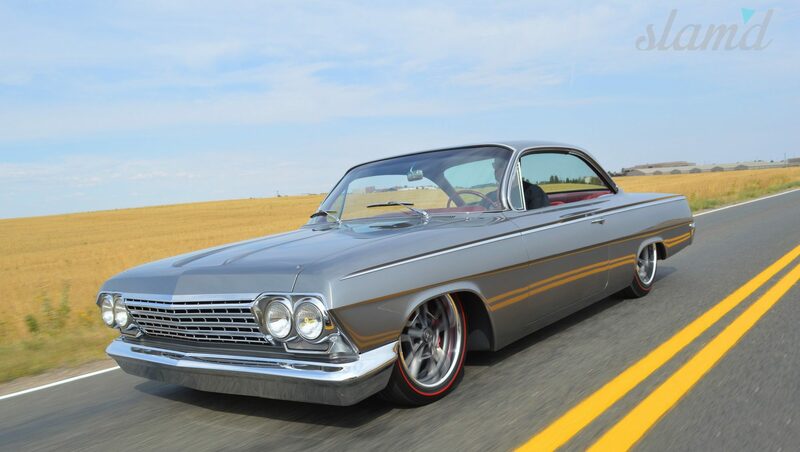 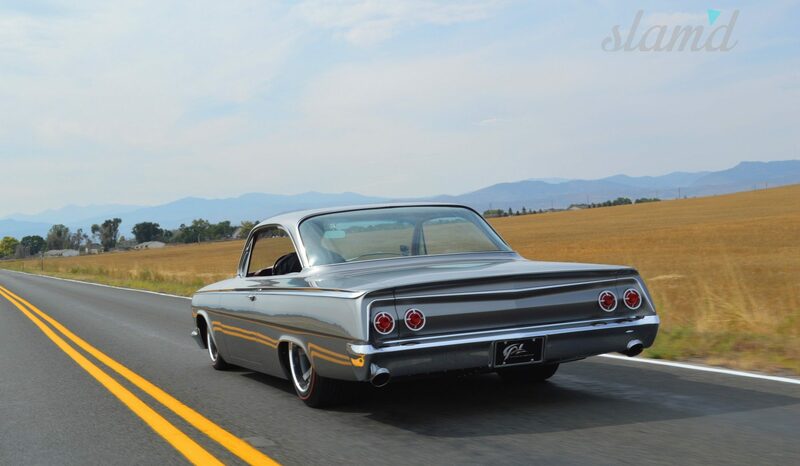 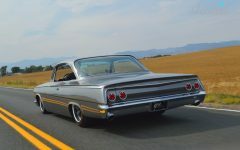 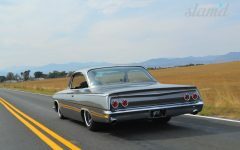 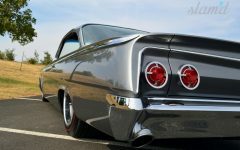 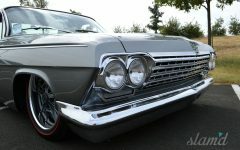 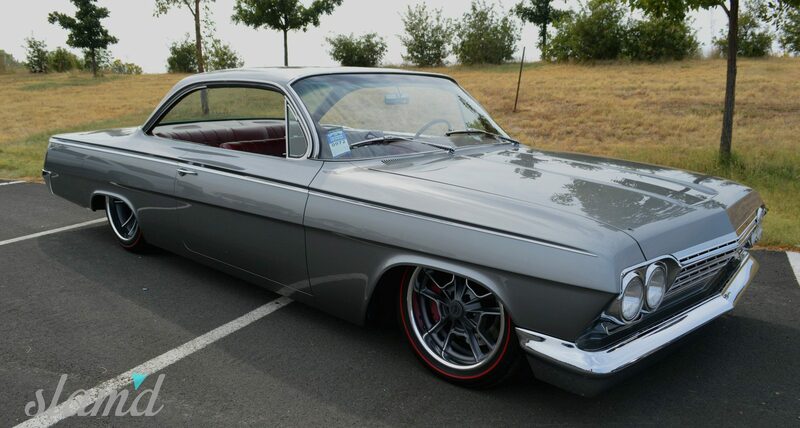 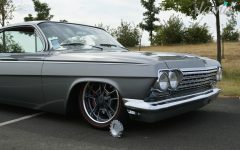 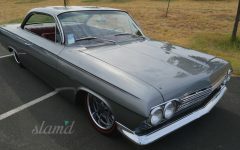 That’s because this is not just another gorgeous ’62 Bel Air bubbletop, it is THE Bubbletop — owned by Randy and Lisa Wilcox and built by the one and only Andy Leach his team at Cal Automotive Creations. 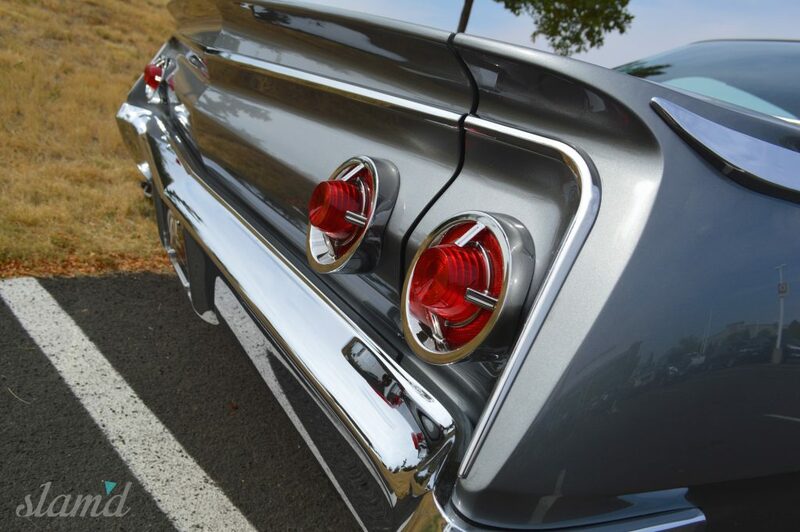 If this car looks familiar, it’s probably because it’s been in the limelight quite a bit. 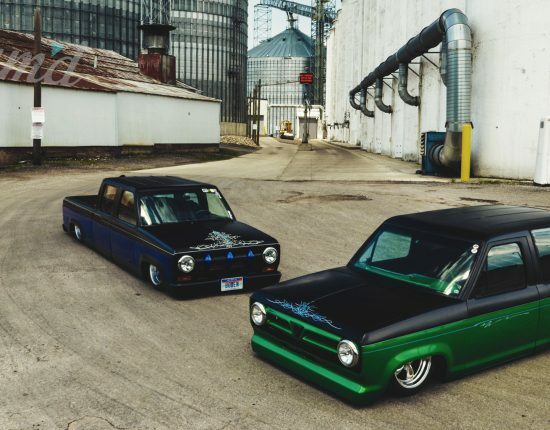 Not only did it win the 2015 Barrett-Jackson Cup last summer at the Hot August Nights show, it was also named one of the top picks for the Battle of the Builders competition at last year’s SEMA Show. 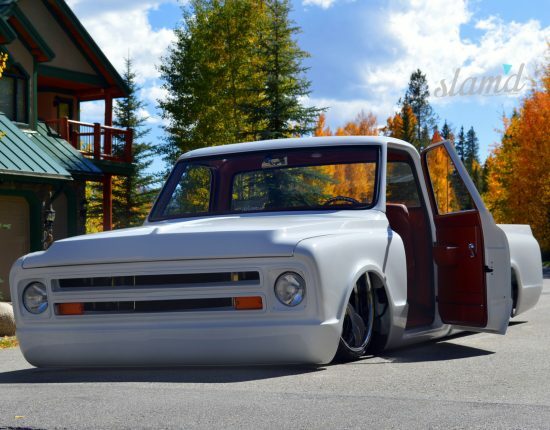 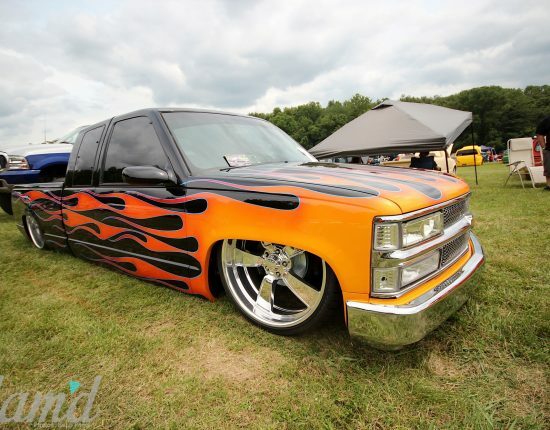 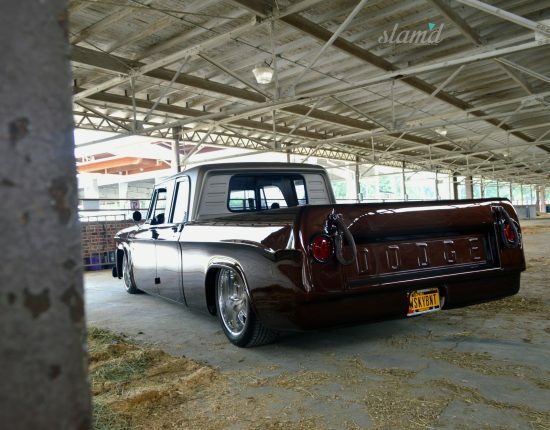 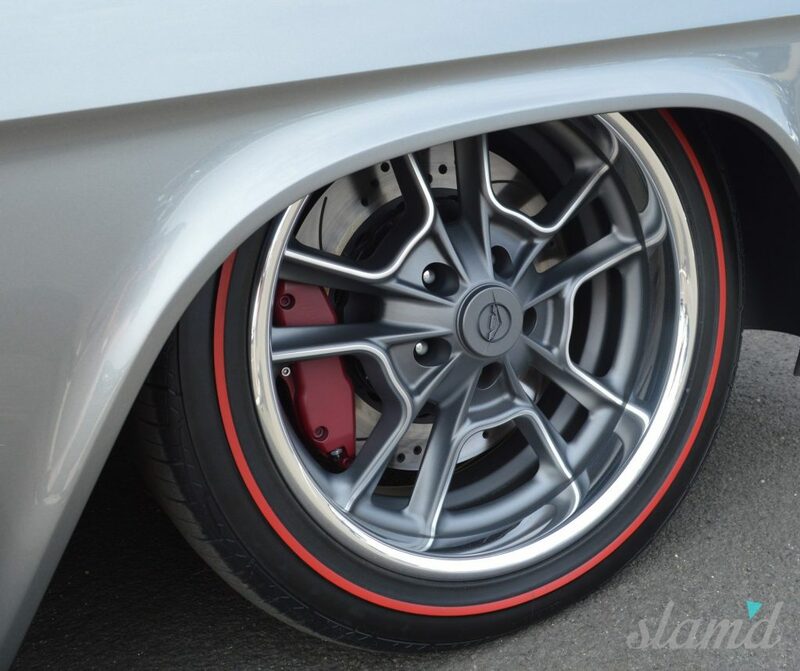 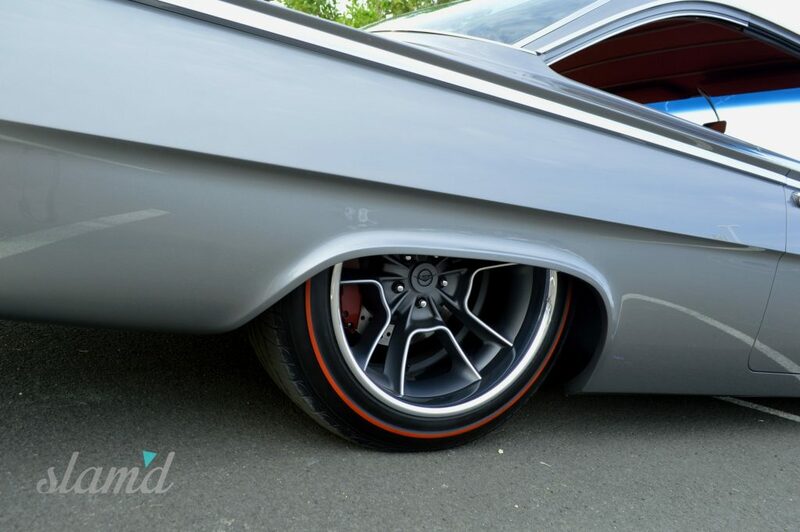 With accolades like this, it’s no wonder that this car turned out to be one of the top customs of 2015. 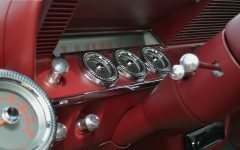 Built by Cal Auto Creations, the same shop behind the 2013 Ridler Award-winning 1940 Ford “Checkered Past,” this amazing Bel Air was destined to be great right from the start, beginning with a design straight from the hands of well-known hot rod graphic designer and pinstriper Bob Thrash. 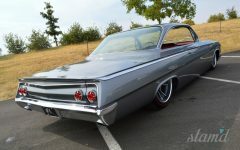 With the design in hand, Andy Leach and his Cal Auto team made quick work of sharpening body lines, making major, yet subtle modifications all around and fitting the car with some of the best one-off components the industry has to offer, taking this otherwise ordinary bubbletop from “just another custom Chevy” to its superior status in the highly-competitive realm of high-end customs. 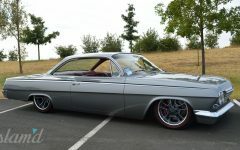 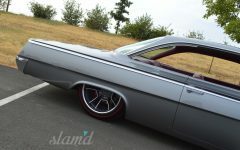 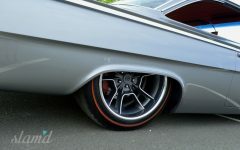 Constructed atop an Art Morrison chassis, the Bel Air achieves its slammed stance thanks to a combination of C6 front control arms, Ridetech coilovers, and a tringulated 4-link rear suspension setup. 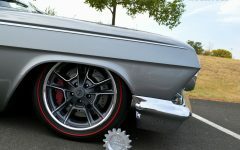 Planting this Chevy nicely to the pavement and tucking the one-off Billet Specialties wheels wrapped in red-lined Toyo tires nicely up under the classic Chevy’s massaged fenders. 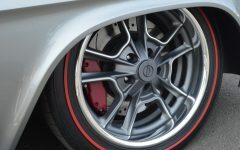 Backing the performance chassis setup are Wilwood brakes with slotted and drilled rotors on all four corners. 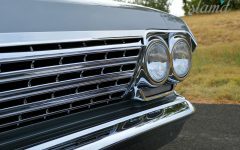 Drawing one’s eye upward, specially tailored bumpers, modified headlight bezels and extended rockers give the car a crispness that not even the latest factory cars could achieve, not to mention the shaving of the car’s “crowned” areas, which bring in even more of that sleek subtlety that Cal Auto is well known for. 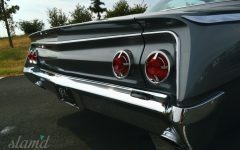 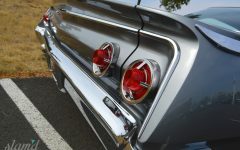 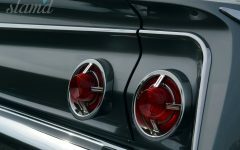 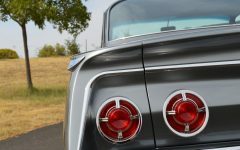 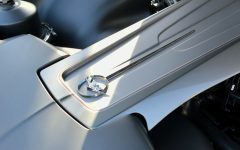 Adding even more flair to the build are unique touches like the addition of a custom spoiler over the decklid and rear fenders, as well as a reshaped grille and custom machined trim work, including door handles, window moldings and side trim. 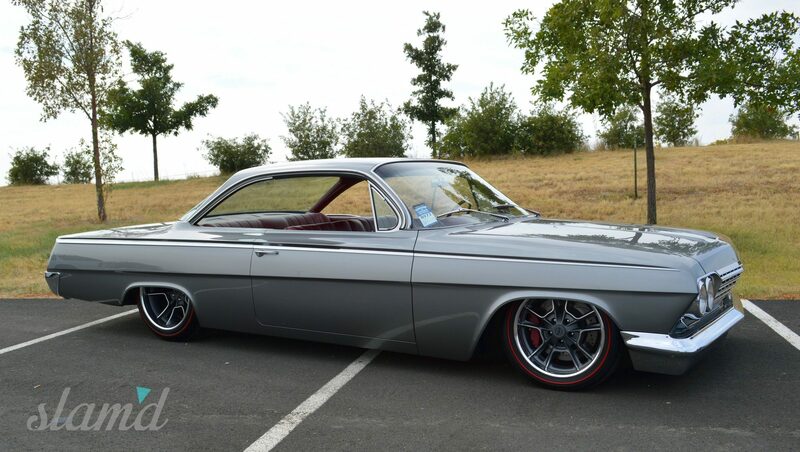 Finishing off the sleek exterior is a PPG Magnesium Silver paint scheme laid down by none other than the magic-man himself, Charlie Hutton. 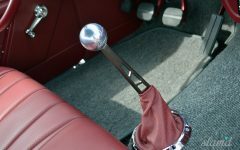 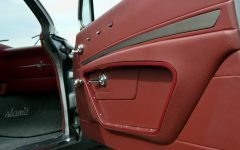 Inside, the car is just as refined as the exterior, offering the perfect balance of classic style and modern amenities. 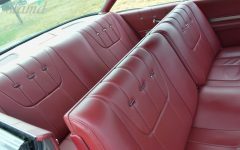 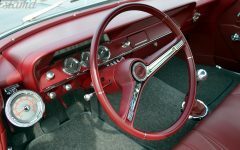 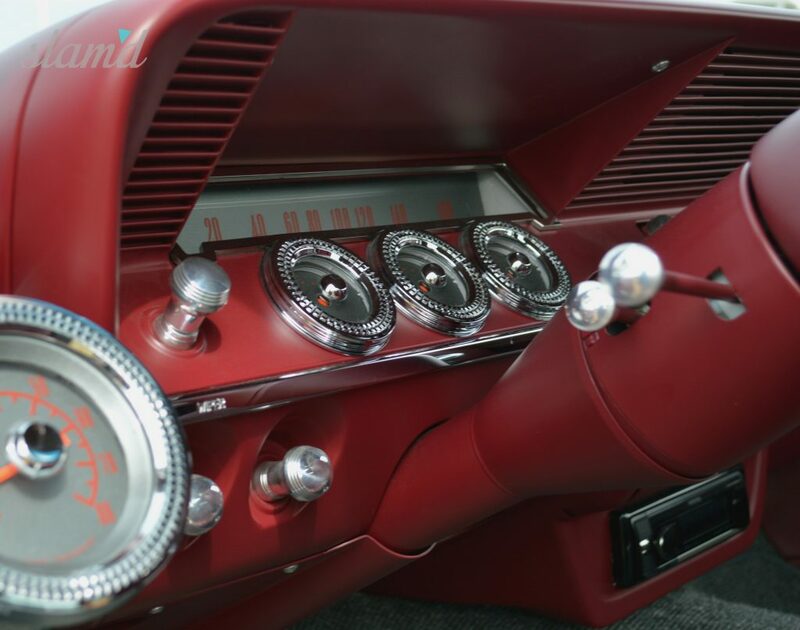 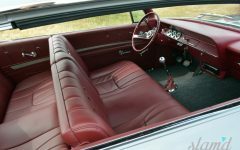 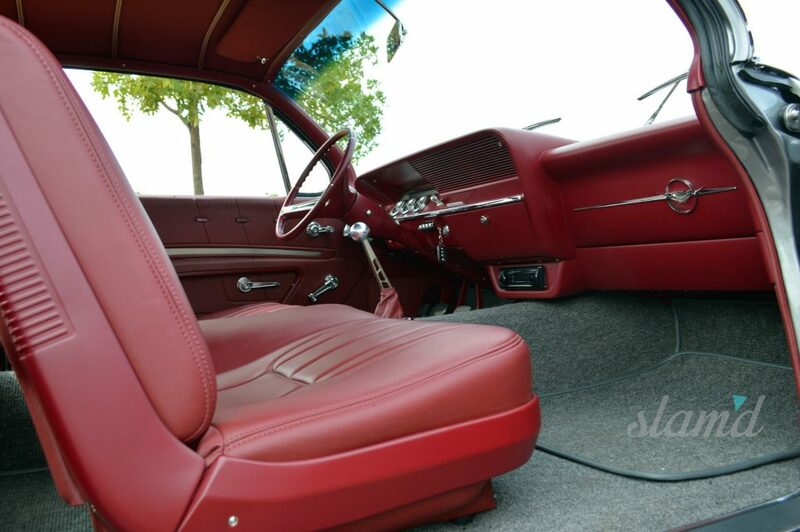 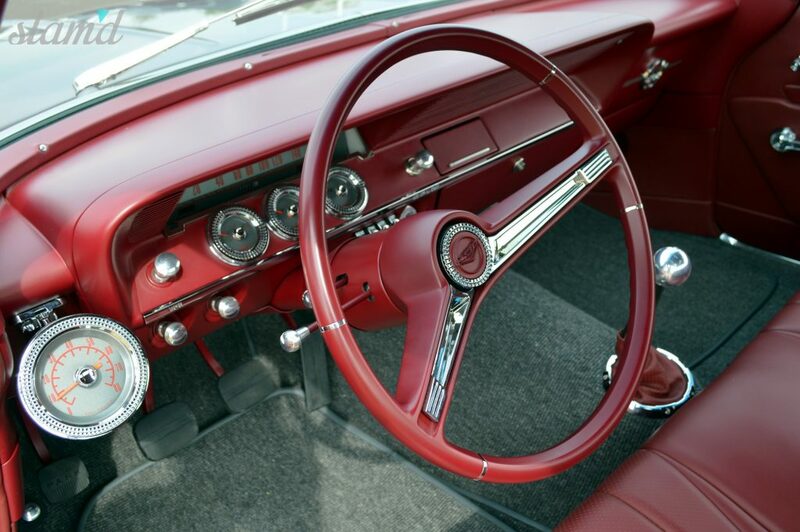 Featuring a split-bench front seat, “standard” rear bench, classic dash with new Classic Instruments gauges and a custom plush headliner, the Bel Air’s interior is decked out in deep red perforated and straight leather upholstery from Recovery Room Hot Rod Interiors. 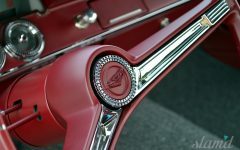 Finishing touches like custom LS9 badging on the dash and steering wheel center, as well as custom machined gauge bezels, interior door handles and steering wheel inserts take the interior up a notch from “all business” to business with a little extra spice. 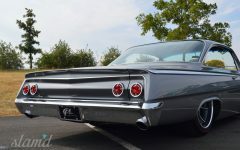 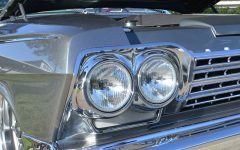 We could go on and on about this car’s impressive looks, but we must not forget about what’s under the hood, tucked underneath a custom body color-match engine cover. 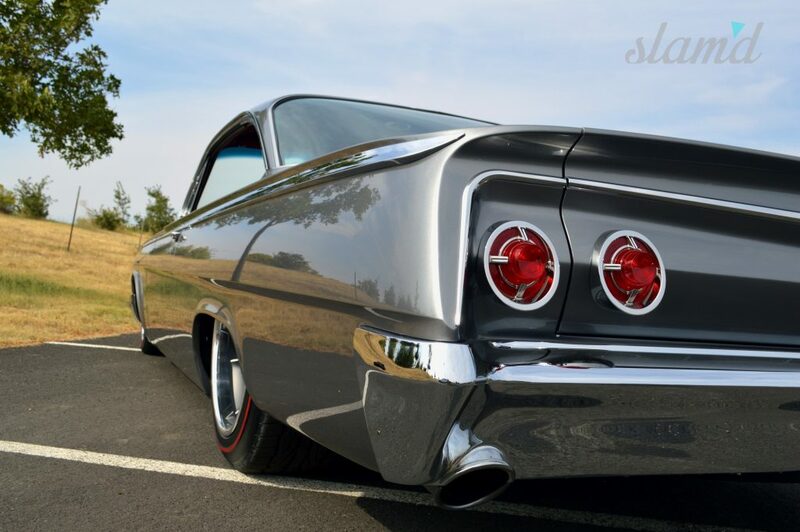 Of course, with a supercharged LS9 planted between the fenders, there’s little mistaking that this Chevy really does mean business! 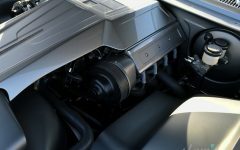 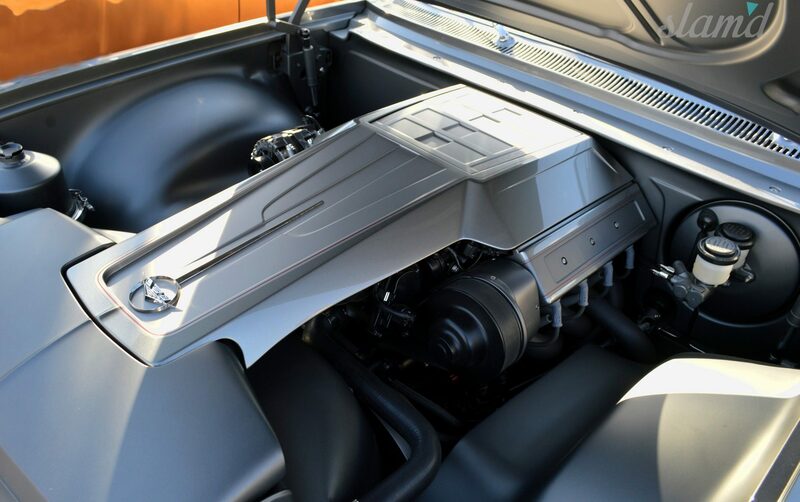 Built up with custom 1 7/8-inch primary headers, a custom 2-1/2-inch exhaust and a good bit of tuning, this powerplant pushes out upwards of 640hp and 600lb-ft of torque. 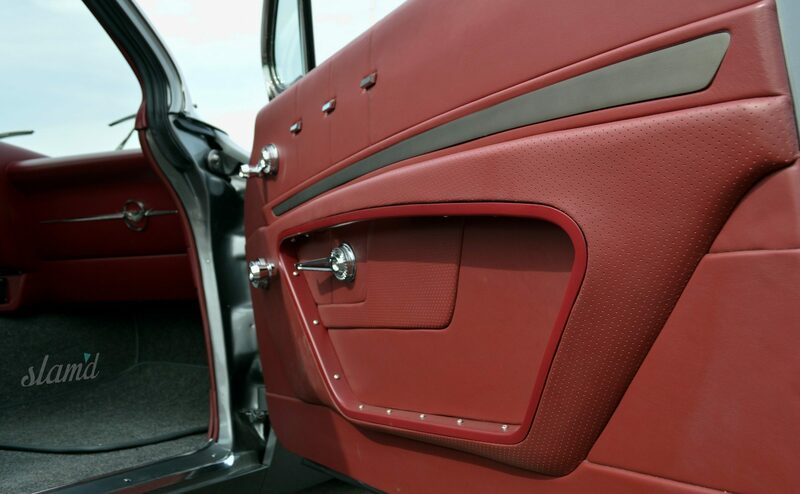 Back that with a Bowler T56 6-speed transmission and you’ve got yourself a rocket in custom clothing – the perfect “sleeper” if you ask us! 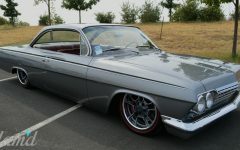 Impressive in all aspects, this car is truly one of those customs that you just have to see for yourself to grasp the quality and extent of the build. 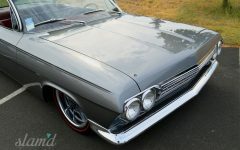 This is certainly one custom that deserves every one of the accolades it receives and we were glad we got to spend some time peeking under the veil!